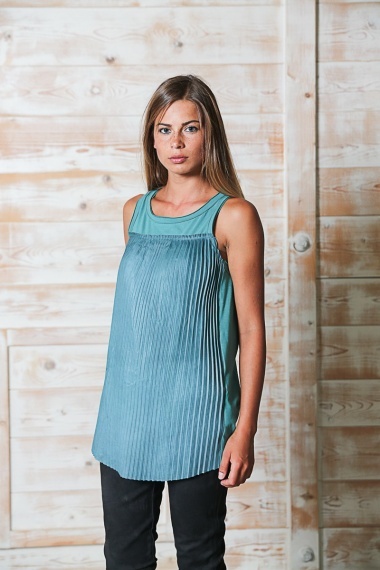 Pleated Leather tank top 60% Leather 40% Cotton by Nicolas & Mark - Clothing Women Top On Sale. 100% cotton jersey tank top. Leather pleats on the front create a particularly rich and trendy item. Collar and armholes trimmed in the same fabric, unfinished bottom edge. Loose fit, hits at the hip. Worn effect.